D - 2 2nd Floor, Sector 3 Noida 201301, U.P. Jaura Infratech Pvt. Ltd. began its operations in the year 2007 and was established Mr. R.S Jaura, and is a diversified wing under the Jaura Group banner. 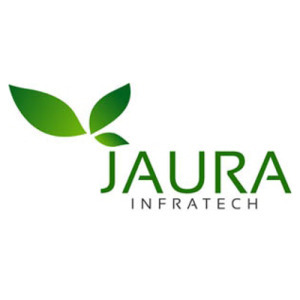 Delivering innovative, state-of-the-art residential, corporate and retail spaces across Delhi NCR, especially Noida, Jaura Infratech Pvt Ltd has substantial development rights throughout the country. Their extensive land banks offer potential buyers with an option to develop the house of their dreams according to their own needs and specifications. Developing magnificent spaces at reasonable costs that ensure utmost client satisfaction is Jaura Infratech’s forte. Quality of construction and timely delivery are important to the group as they aim to meet all stakeholders’ needs to a T. The company makes use of only the best technology in the business that is operated by capable professionals that are backed by years of experience and expertise. The group recognizes the value of satisfied employees who contribute to the development of prime real estate. Therefore, the company has developed “The Jaura Safety Management System” that puts up quality safety policies and practices into place. Mr. R. S. Juara drives the company towards attaining its vision of “ushering a better tomorrow, by providing people with an improved quality of life and higher living standards”. By building long-lasting relationships with all stakeholders, clients and investors, as well as high-quality construction, the company aims to set new standards in the industry. Market knowledge, accountability, transparency, passion and integrity are at the heart of the company’s operations.